POLICE are seeking the public’s help in identifying two suspects in a pair of armed robberies in Garden Grove. Two suspects are sought in a pair of apparently related armed robberies in Garden Grove. The most recent one occurred Wednesday just before 3 a.m. at a convenience store on Euclid Street, according to Lt. Bob Bogue of the Garden Grove Police Department. FIRST SUSPECT in robberies (GGPD). That robbery was at the 7-11 store, 13471 Euclid St, just south of the Garden Grove Freeway. Police describe the heist in this way: One suspect entered the store, bought a cigarette lighter, and then left. A second suspect immediately arrived and pointed a handgun at the clerk demanding cash and getting $200. The suspects fled together in a dark sedan. SECOND SUSPECT in armed robberies (GGPD). 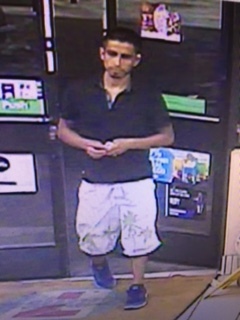 Suspect 1: Male Hispanic, 20’s, 5-foot, 10-inches tall, with short dark hair and thin mustache/goatee. He was wearing a black shirt and white shorts. 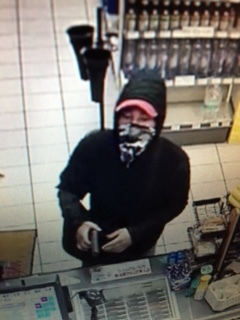 Suspect 2: Male Hispanic, 20’s, 5-10, black hair, wearing a black hooded sweatshirt, tan pants and a dark bandana over his face. He was carrying a satchel in which he had hid a black semiautomatic pistol. Anyone with information about this incident is asked to call the GGPD at (714) 741-5787 or (714) 741-5840.